Graduates of Master’s programs and their supervisors are invited to submit high quality theses in any topic in the area of quantitative finance, e.g. derivatives, risk management, market modelling, high frequency and algorithmic trading, FinTech and others. This year Master’s programs at any Dutch, Belgian, Luxembourgish or Scandinavian university are eligible for submission. The special focus of this year’s award is FinTech: apart from the main award, there will be a special award for the best thesis on a topic related to FinTech, e.g. machine learning, blockchain, cryptocurrencies, roboadvisory or advanced data analytics. All submitted theses must have a clear quantitative finance focus, contain high quality original theoretical and/or empirical work and the thesis must be finalised (submitted and signed) during the period between October 15, 2017 and October 15, 2018. The deadline for submission is October 15, 2018, 23:59 CET. 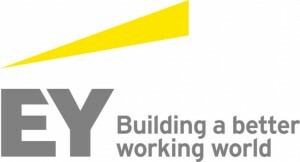 The three finalists, chosen by the jury of top level quant finance professionals, will have the opportunity to pitch their thesis at the annual Quant Careers EY symposium at the Amsterdam EY headquarters on November 9, 2018. During the event, the winner will be chosen by the same jury. An invitation for the event will follow in due course. The author of the winning thesis will receive the award of €2500 and will be invited to the TopQuants Autumn Event. The candidates should submit their thesis by emailing the original PDF to a…@topquants.nl. Additional information can be provided by Dr. Svetlana Borovkova: s…@vu.nl.